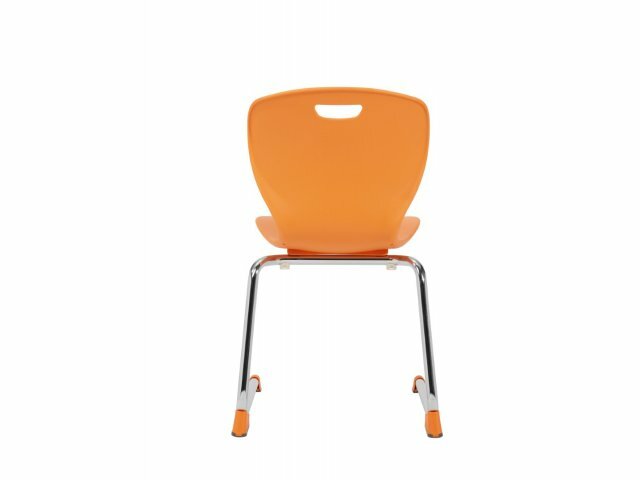 Zed Cantilever School Chair 16"
Unlike traditional school chairs, a cantilever leg design provides increased legroom and a sleeker appeal. 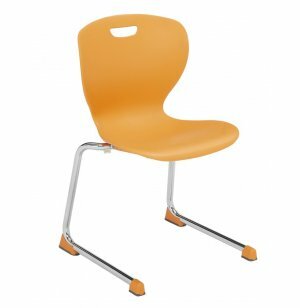 With the perfect combination of comfort and style, Zed School Chairs will revolutionize your classroom seating experience. The large, gas-assist, injection-molded shells combine the best of injection and blow molding, for an incredibly long lasting seat. The flexible back and supportive contours provide upgraded comfort throughout the day. 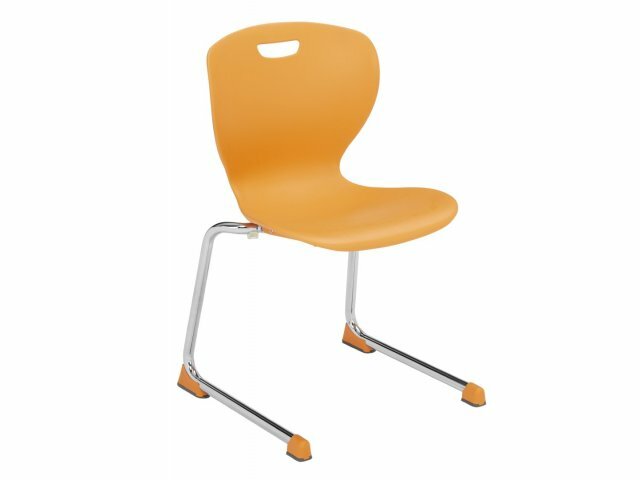 These sturdy, low-maintenance school chairs are the perfect choice for every learning environment. 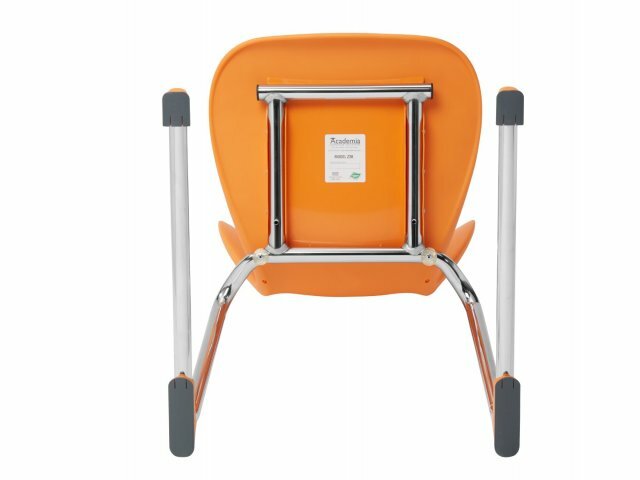 A built-in carry handle makes it easy to move chairs around, while under-seat rivets create a secure connection between the shell and 16-gauge steel frame. Available in an array of vibrant colors and functional base options. Supportive Design: Large contoured shell provides a comfortable seat. Innovative: Hybrid engineering combines the best of gas-assist and injection-molded shells for an exceptionally durable seat. 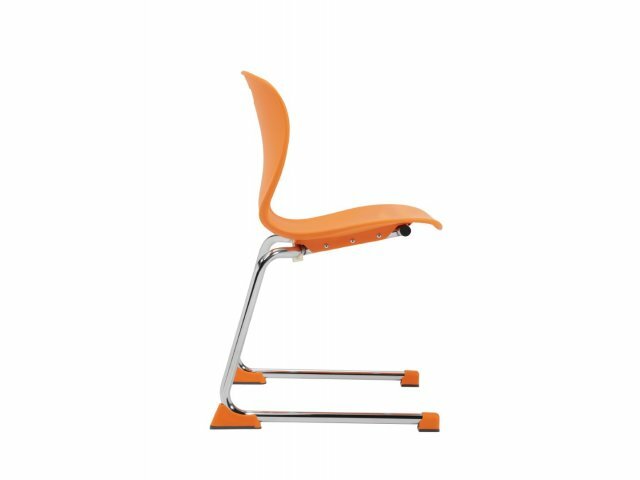 Convenient: Built-in carrying handle makes it easier to move chairs around. 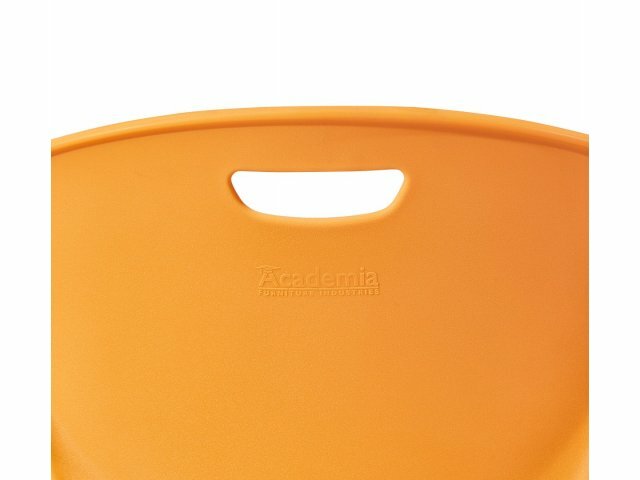 Clean Seat: Flexible back with no ribs prevents dirt from building up on the back of the chair. Strong Frame: Supported by a chrome-plated, 1” round, 16-gauge steel frame. Sturdy Build: Under-seat rivets create a strong connection between the frame and the shell. Low Maintenance: Shell has a cosmetically-perfect, blemish-free, lightweight surface.